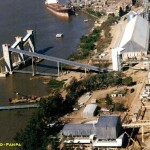 This is a private berth owned by Bunge Argentina S.A. 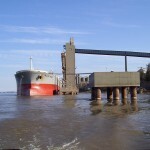 Vessels berth on three dolphins affording a berthing front of 125 m with outlying head and stern mooring points. Suitable for vessels of up to LOA 270 m and beam 38 m. Depth alongside 12,20 m (40 ft) at datum, air clearance 25,7 m at datum. 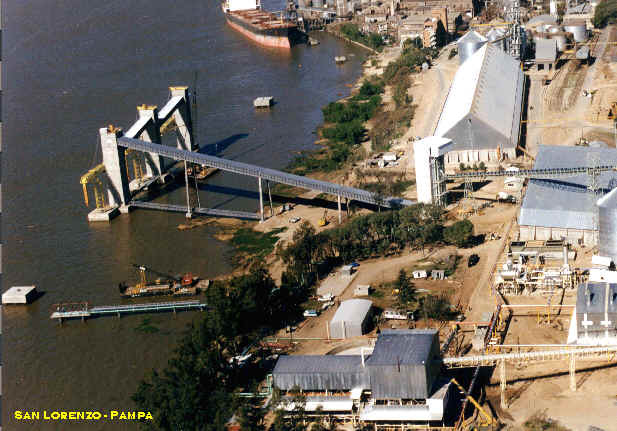 Loading is via two inclined conveyor belts capable of handling two different products simultaneously, to an overhead loading gallery supported on three reinforced concrete towers stepped alongside dolphins and fitted with 3 loading arms. 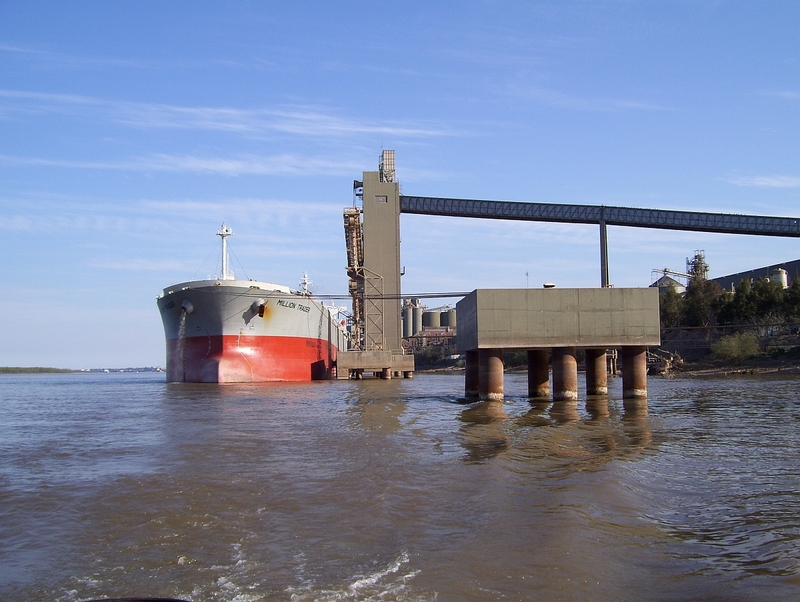 Loadrates: grain 2000 TPH (2×1000), pellets 1600 TPH (2×800). Storage capacity 420.000 ton; 1×10´´ pipeline conecting to DEMPA´s oil tanks allow to load vegoil. Bunkering not allowed.